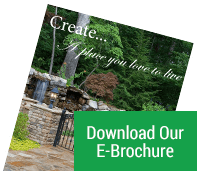 Miller Landscape Owner Bruce Miller has been in the landscaping business for over 25 years and he is a respected expert in the industry in the Metro Atlanta, Georgia area. Family owned and operated, Miller Landscape has been part of the Atlanta landscape community since 1981. Winner of multiple prestigious design awards, Miller Landscape has even been featured on HGTV. One call does it all: Landscape Design and installation with the finest quality green house Nursery Plants, Lighting, Landscape Maintenance, Waterfalls and Ponds, Retaining Walls, Tiered Retaining Walls, Plant and Sod Installation, Decks and Arbors, Walkways and Patios, Pools and Spas....Bruce and the gang have it all down to a science and an art. Guided by a thirst for excellence and a love for the craft, Miller warranties their work from the ground up. Miller Landscape installs a wide range of architectural and ornamental products, segmented retaining walls and interlocking pavers. They specialize in all phrases of brick and interlocking concrete, Belgard & Oldcastle pavers, and are at the forefront of paving stone installation. In addition, their tradesmen are fully trained masonry professionals. Should you need masonry repairs, they can match almost any material seamlessly so that repairs are virtually undetectable. In addition to landscape design and construction, Miller Landscape offers complete yard and lawn maintenance services including mowing and fertilization, debris removal and yard cleanup, lawn aeration, tree and shrub trimming and treatment, and complete garden care and seasonal color maintenance systems. Do what you do best: your profession, and leave the "how to" landscape challenges and maintenance issues to Miller Landscape. Miller Landscape is a company that provides high quality consultants, craftsman, and reliable contractors.